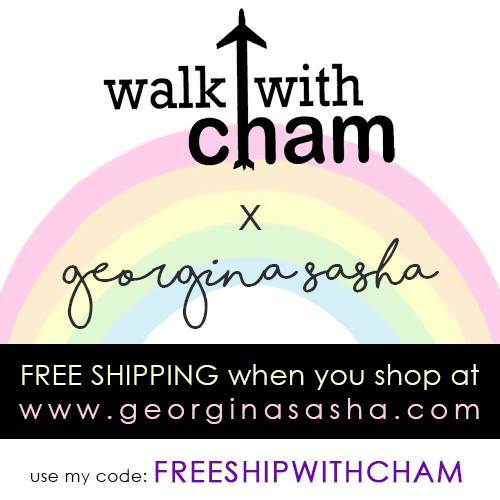 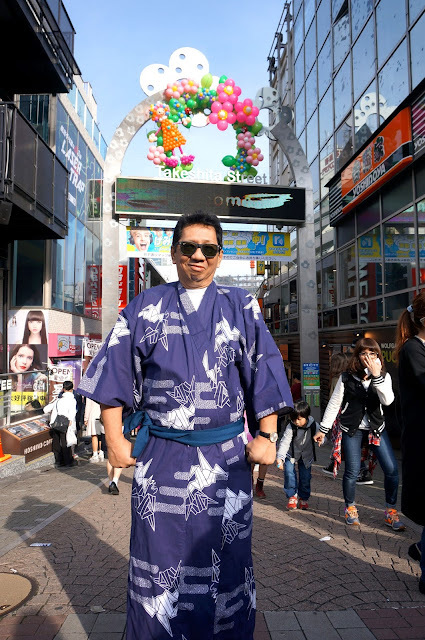 Walk with Cham at Harajuku again. 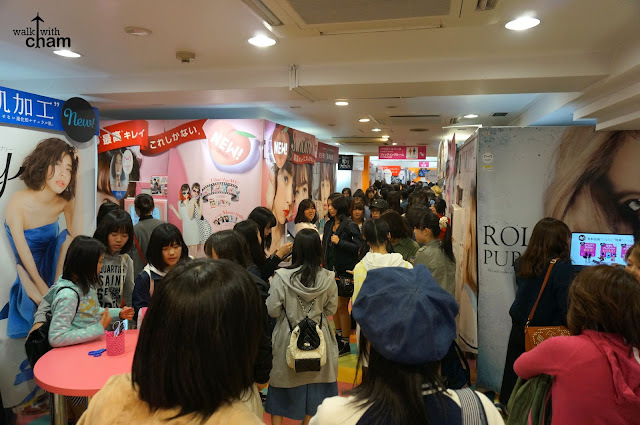 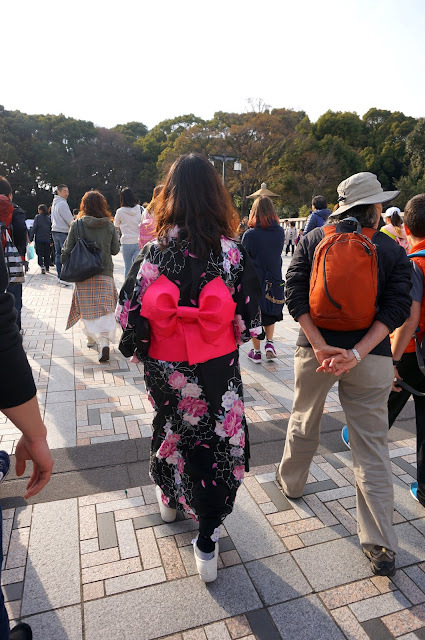 First week of spring break in Harajuku was chaos! 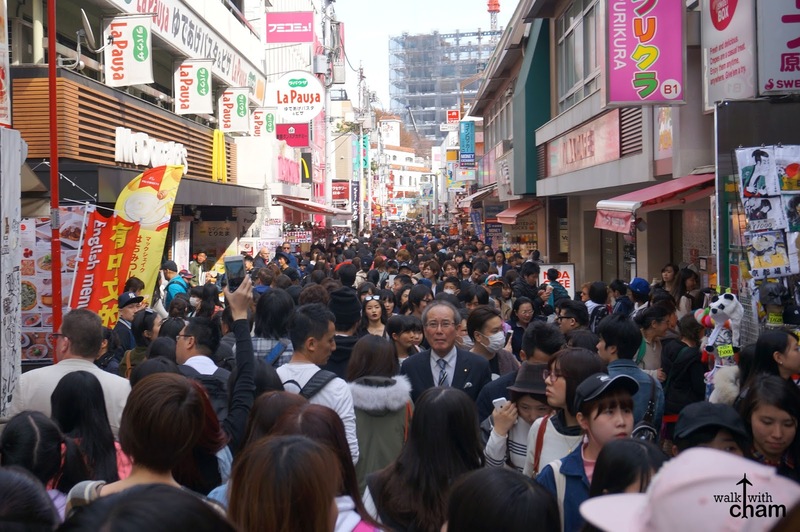 The crowd at Takeshita Dori was unbelievably huge we couldn't even walk without bumping into other people. 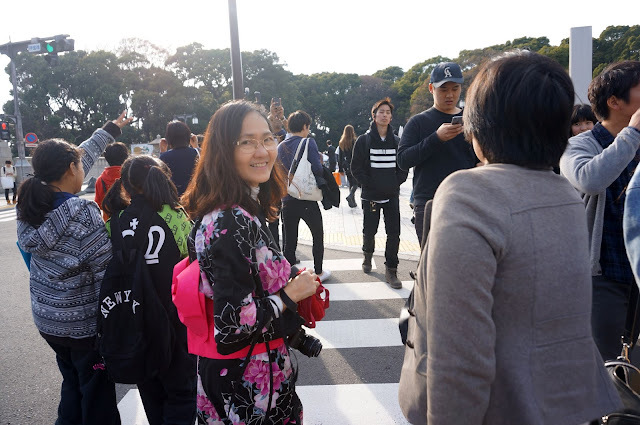 Aside from Shibuya I also revisited Harajuku which was one of my favorite attractions so that my parents can check this place out too. 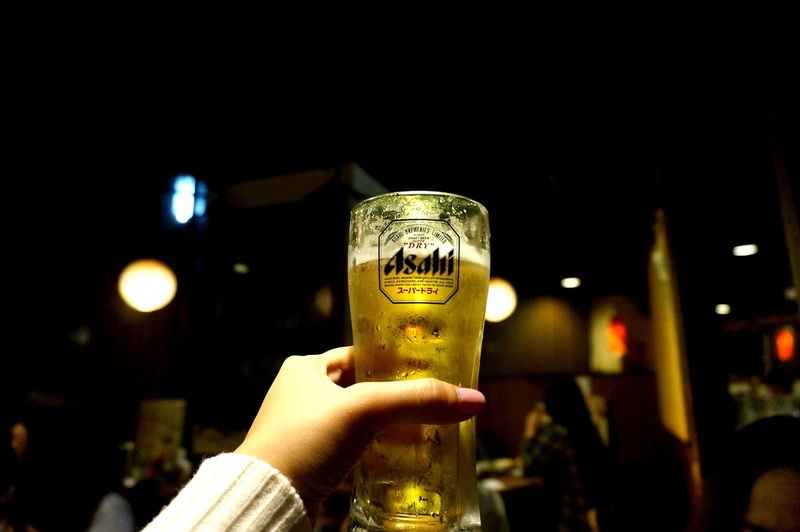 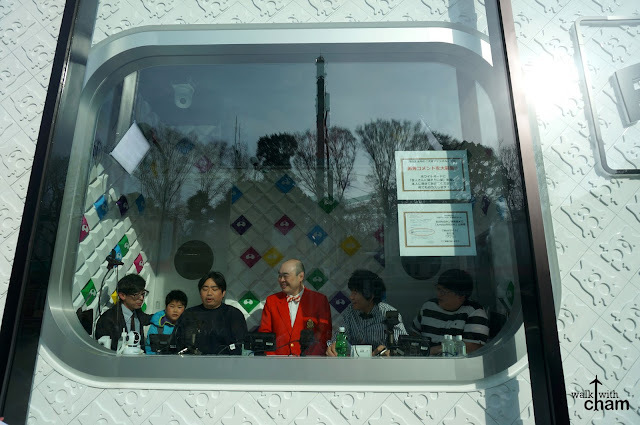 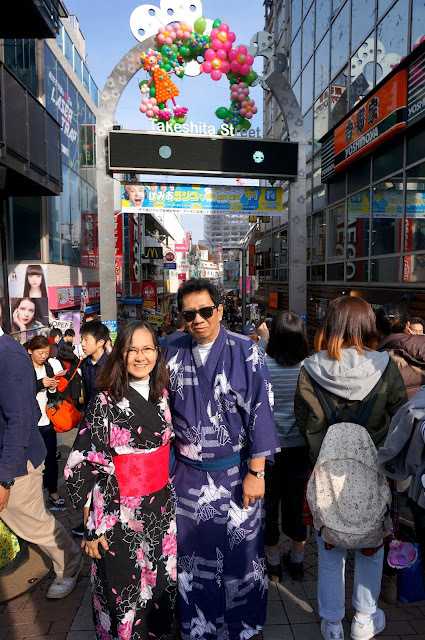 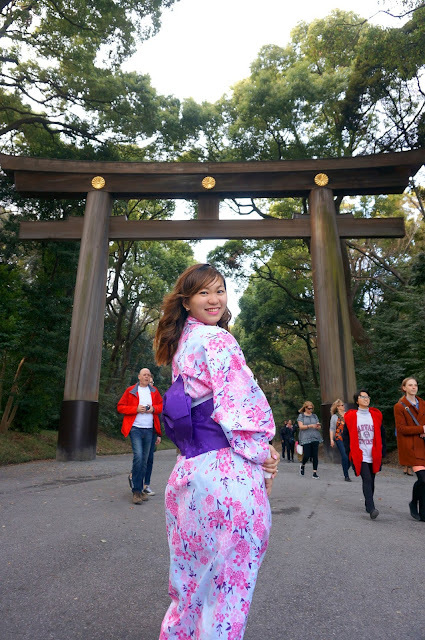 Although this place is catered to the younger crowd, I still wanted my parents to see this area so they'd know more about the Japanese colorful, modern and young culture. Just in front of the station you will see the famous street in Harajuku. 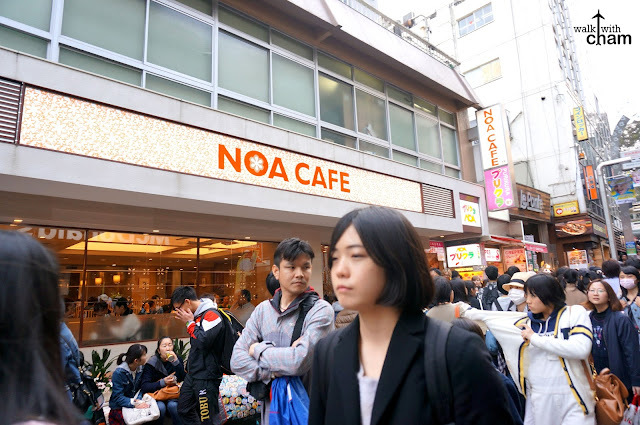 Takeshita Dori is a well-known street filled with shops of all sorts - cafe, restaurants, apparel shops and other stores. 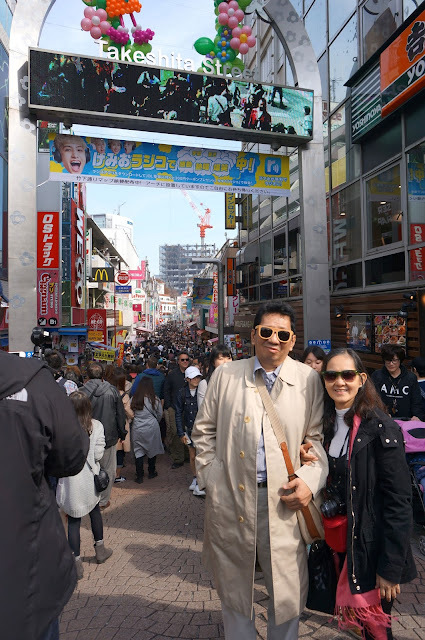 Because this street was so popular among the young crowd it was outrageously jam-packed the time we were there as it was the first week of spring break. 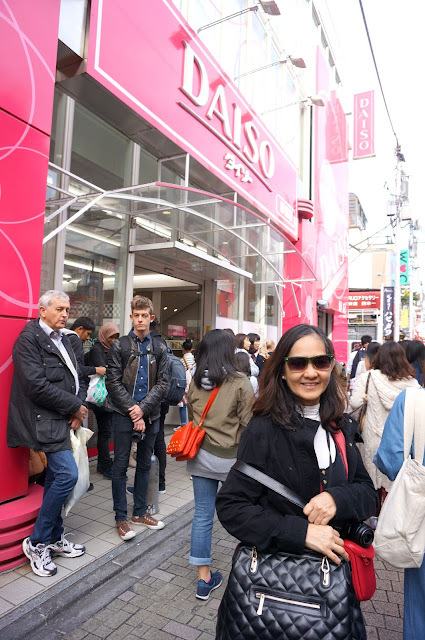 One of the shops along Takeshita Dori Street is Daiso, a Y100 chain store which also has a number of branches in Manila. 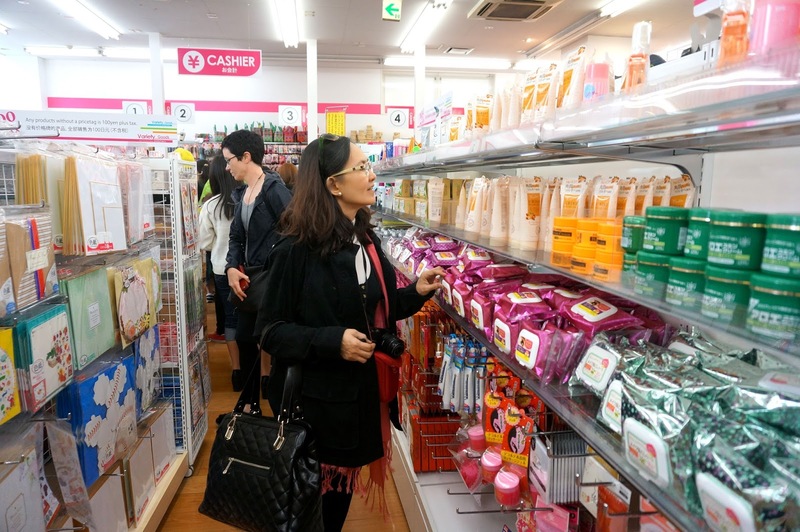 This is one of the largest Daiso in Tokyo that offers a wide array of goods like kitchenware, arts and crafts, livelihood and a lot more. 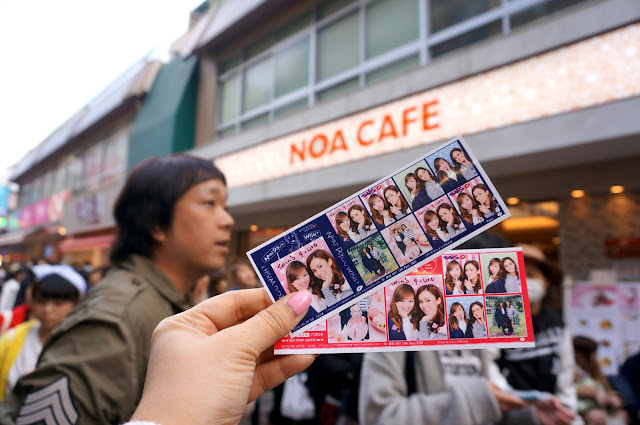 A cafe that is famous for its Purikura booths. 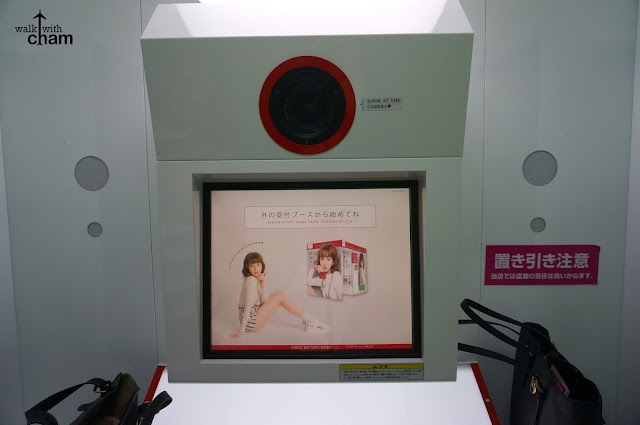 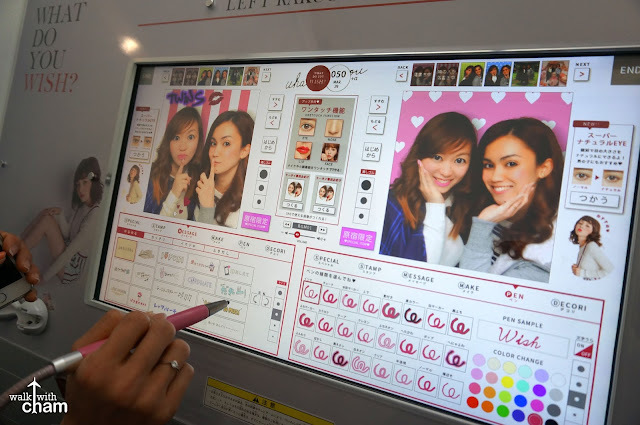 Purikura is a Japanese photo booth where you can edit and instantly print as a souvenir. 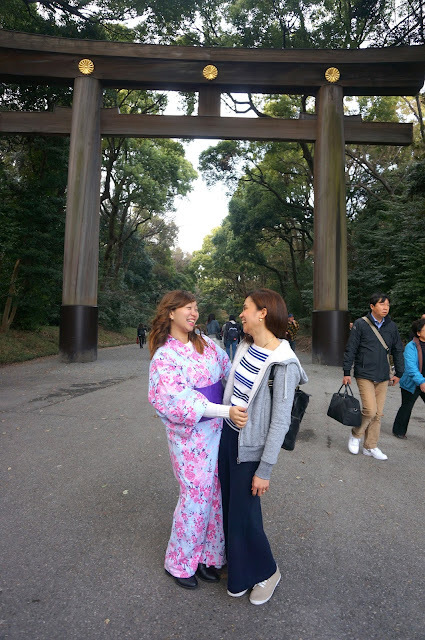 I was looking for this the last time I was here and finally I got to do it with my friend, Twin. 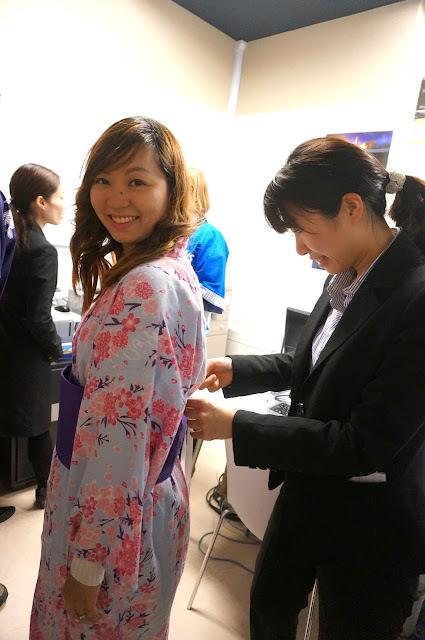 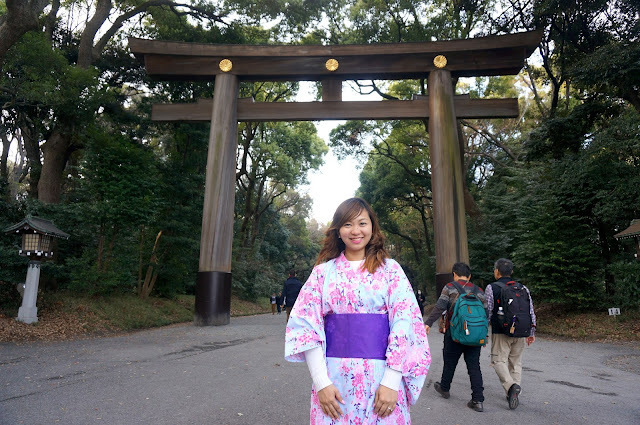 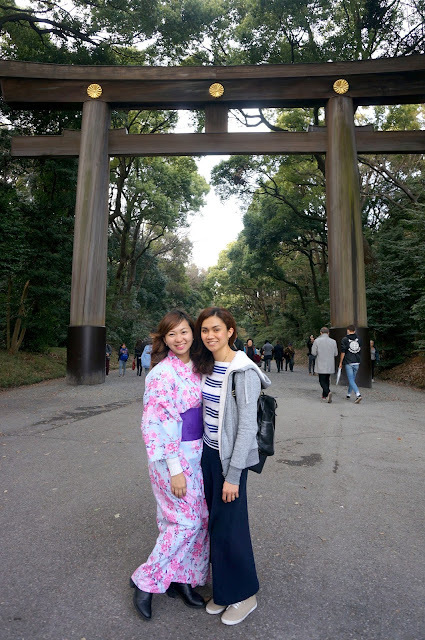 Trying on Yukata, traditional Japanese costume was not even part of the plan. 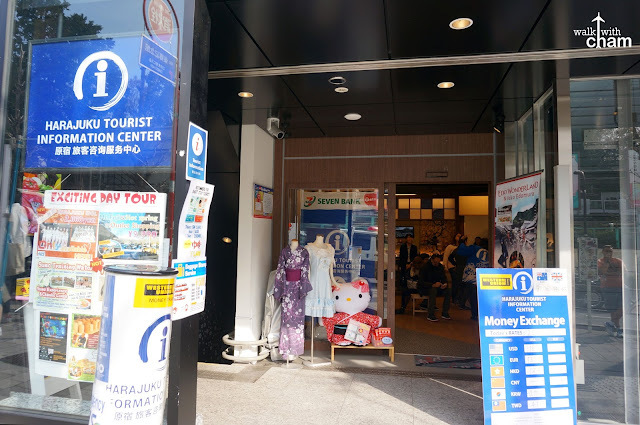 I was actually looking for a WiFi signal and fortunately the tourist information center in Harajuku offers it for free. 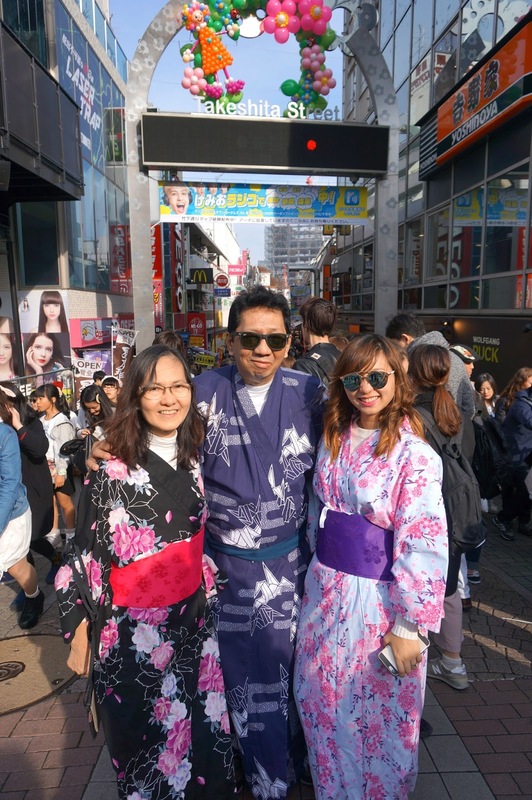 So while accessing their free WiFi the staff asked us if we were interested to try on Yukatas with a corresponding fee. 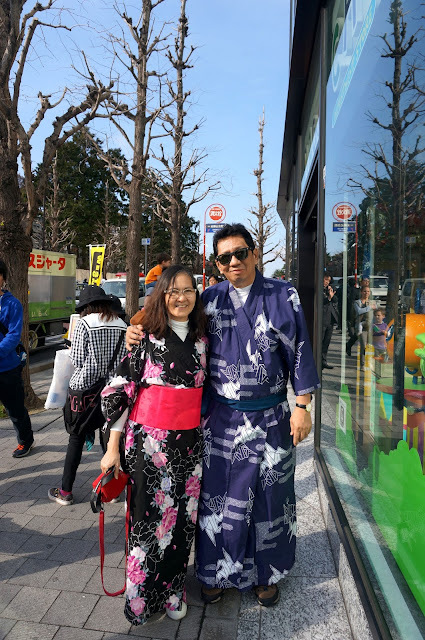 My parents are really fond of traditional costume changing so they were game with the idea. 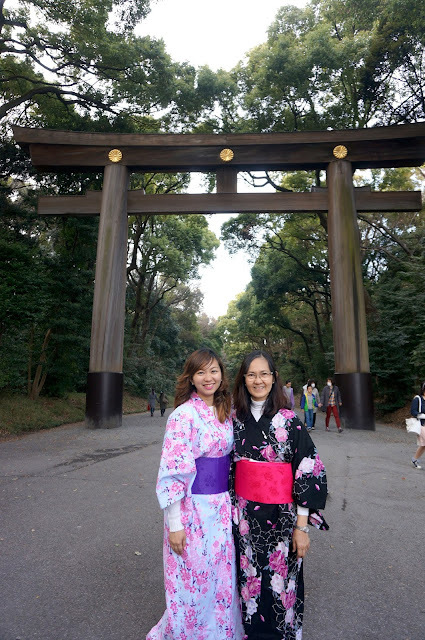 The next thing we knew we were walking along the crowded street of Takeshita to Meiji Shrine while wearing the traditional costume. 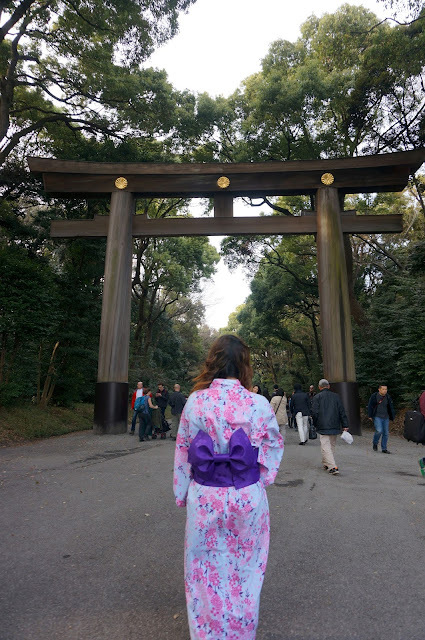 Just beside the Meiji Shrine is Yoyogi Park. This park is famous especially during sakura season. 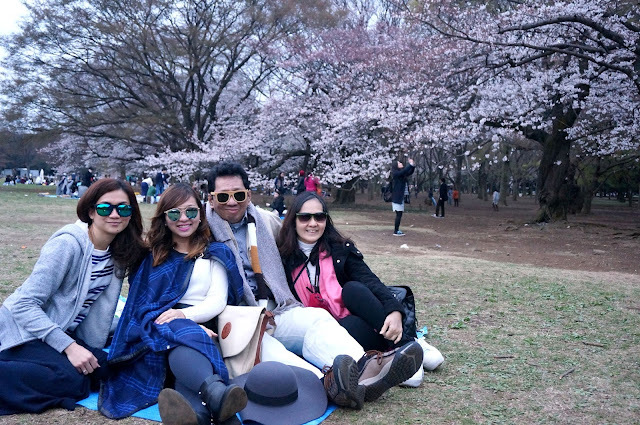 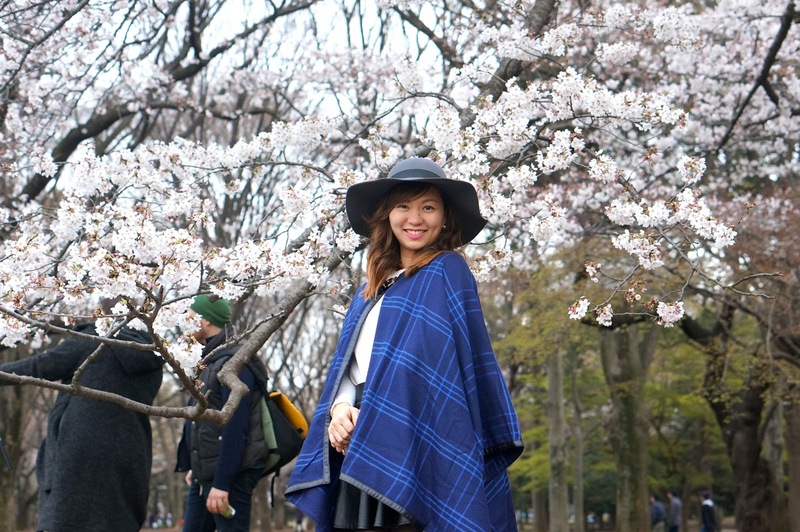 Of course we went there to look for the blooming sakuras and tried experiencing hanami or cherry blossom viewing. 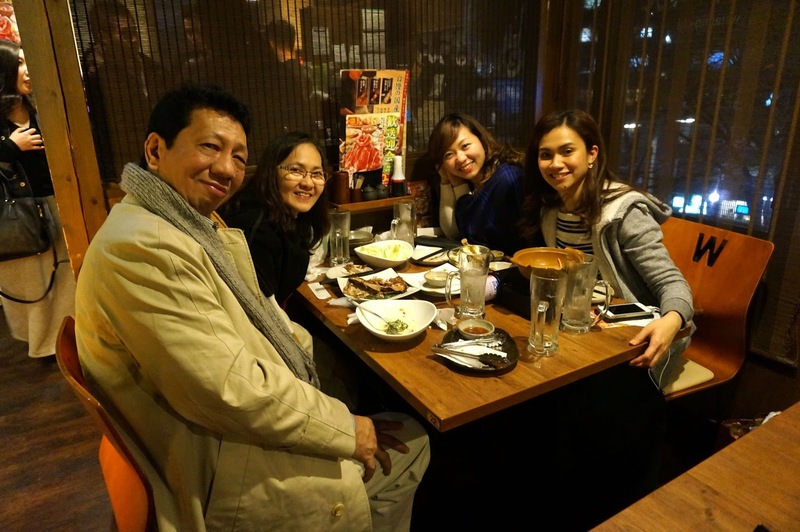 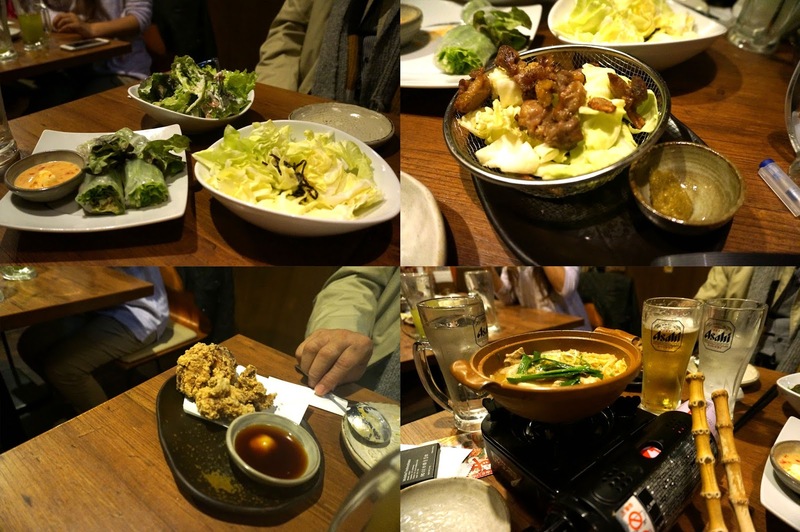 After our hanami experience at Yoyogi Park we had dinner at Omotesando. 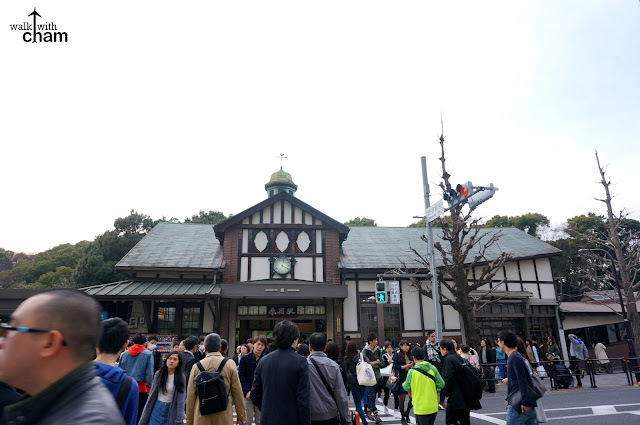 Omotesando is just beside Takeshita Dori that has numerous restaurants and high end branded shops. 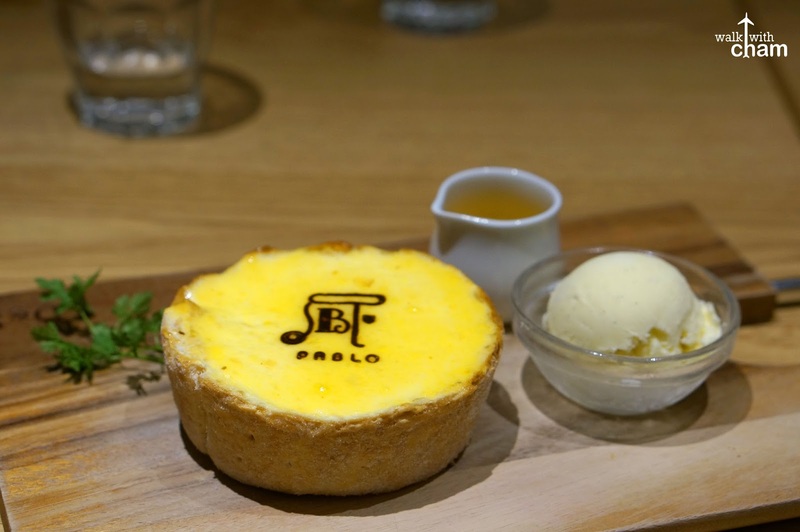 One of the best cheesecakes in town is Pablo and a branch can be found just at the back of Omotesando. We ended the day by having a take-away box of the yummy Pablo Cheesecake. 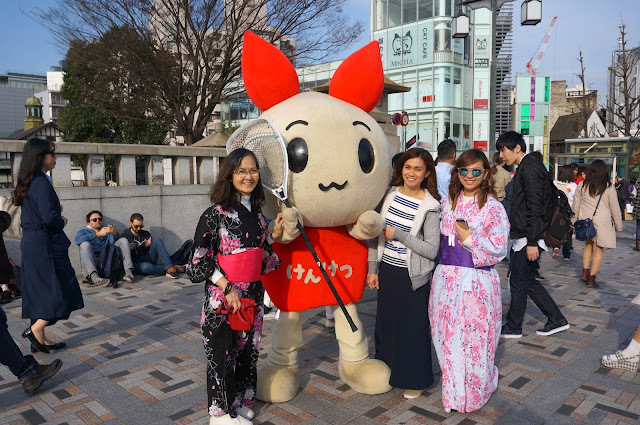 OMG I cannot believe the tourist info center did not fix your yukata properly! 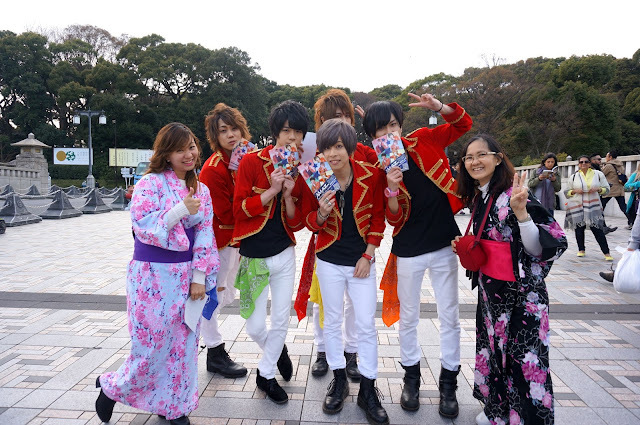 You're wearing them the way the Japanese dress their dead x_x (right over left collar). 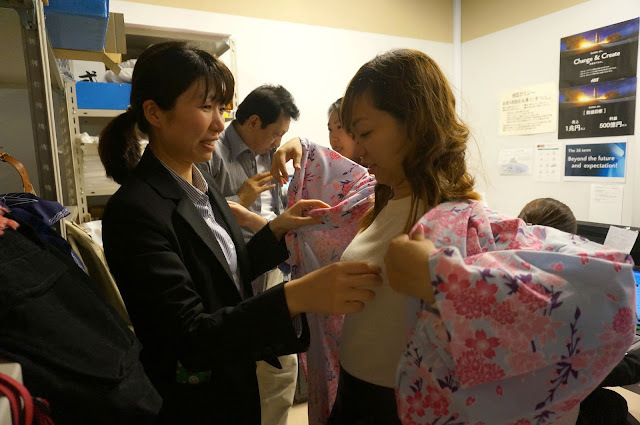 They did not even pull up your yukata so the extra flap of collar could be hidden. 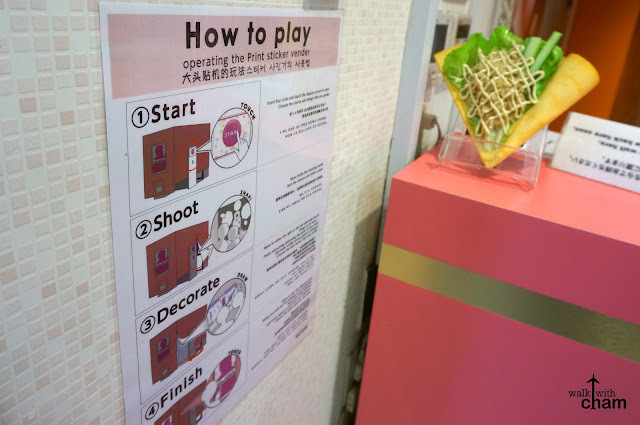 They should do a good job next time.